Professor Hill Presents the World's Greatest Number Puzzles! Sangaku returns with more addictive number puzzles. Similar to the wildly popular Sudoku, the all new Sangaku requires players to fill out a pattern, shape, or grid using mathematical rules. These rules change according to the shape of the board, however, and the numbers presented in sets are also different for every puzzle. If that wasn’t enough, almost every puzzle has more than one solution, meaning that players get twice the puzzles for the price of one! Japanese for “mathematical tablet,” Sangaku puzzles are named for ancient devotional tablets seen at Shinto shrines. Sangaku is now a hit in Japan. These tablets were not only an offering to the shrine, but a challenge to other viewers. 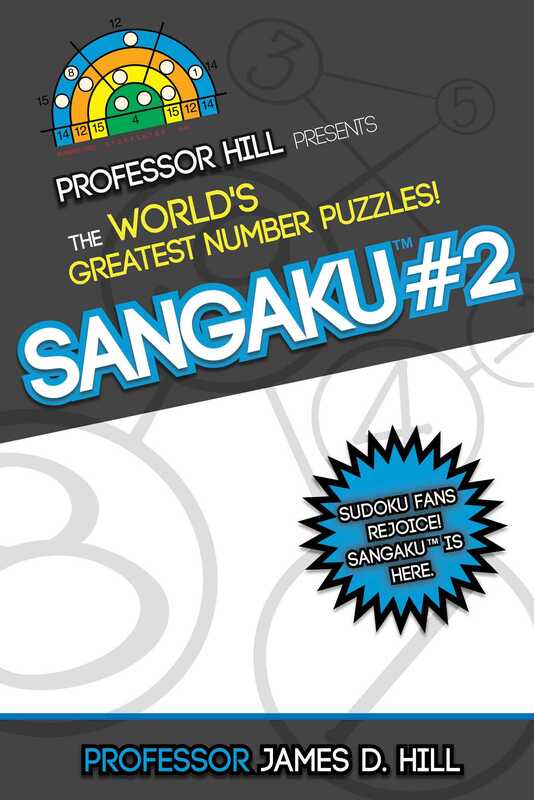 This challenge extends into the present day, where players will be inspired to consider the mystery of numbers—the magic of which penetrates “the core of our material universe and into the heart and soul of our human understanding.” With more than two hundred puzzles, Sangaku #2 will keep you and your friends amused for hours, sharpen your math skills, and change the way you think about numbers. It’s the perfect time-killer for puzzle lovers of every age and skill level.